We’re back to take a look see at what great releases Umbrella Entertainment has for July 2018. 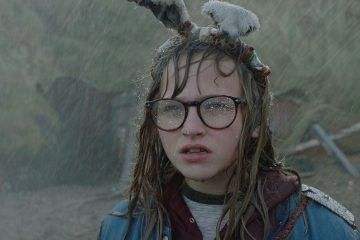 From Umbrella: Barbara Thorson (Madison Wolfe, The Conjuring 2) is a teenage girl who chooses to escape the realities of school and a drab family life by retreating into her magical world of Titans and Giants. With the help of her new friend Sophia (Sydney Wade) and her school therapist (Zoe Saldana, Guardians of the Galaxy), Barbara will learn to battle her Giants and face her fears – tackling the mean bullies at school, her sister (Imogen Poots) and her difficult home life and eventually her biggest dread of the unknown. 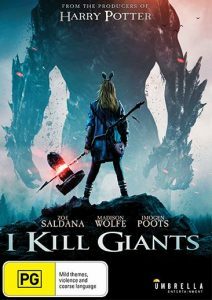 I Kill Giants, an adaptation of Joe Kelly and Ken Niimura’s Man of Action/Image Comics internationally acclaimed graphic novel is directed by Academy Award-winning director Anders Walter (Best short film. Helium). 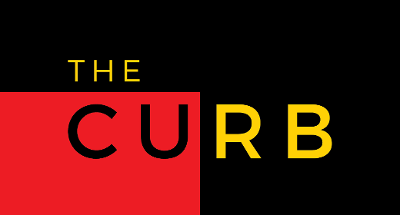 From The Curb: The film is not what you expect it to be and in its own way is a good movie. From Umbrella: Living in poverty in a shared studio apartment in Los Angeles, two brothers (Justin and Aaron) receive a mysterious videotape in a box that seems to have been shipped through a hundred countries before arriving on their doorstep. On it, a Heaven’s Gate-esque cult member talks about an impending “Ascension”. We learn that the brothers were raised in this cult, and fled from it a decade ago because Justin pulled Aaron out when he became aware of an impending mass suicide. But this tape seems to say otherwise their old family is alive and well, which opens a crack in the brothers’ relationship: why did Justin pull Aaron away from the only family he’s ever known, lie about their mass suicide, and have him live this destitute life? On Aaron’s insistence, they go back to their homestead deep in the high desert forest of the southwest in order to get some closure. But when they arrive, they discover that the “cult” might not really be a cult at all, and they’re not certain just how welcome back they are. And there seems to be a dark truth to the commune’s otherworldly beliefs that suggest the laws of the natural world may be very different than we assume, which propels THE ENDLESS into a Lovecraftian tale about brotherhood, giving up your personal autonomy, and history’s weird, malevolent tendency to repeat itself. 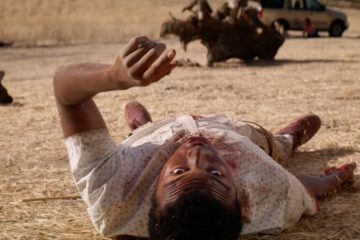 From The Curb: The Endless is not a blockbuster with an advertising campaign that will have you salivating at the release of the first teaser. You won’t be camping overnight for theatre tickets and there won’t even be a line up at the counter. 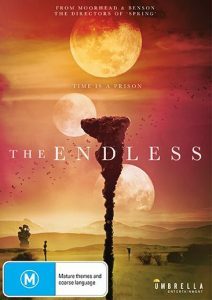 It is a smart and masterful independent sci-fi thriller and I urge you to give it a go. You will be surprised. From Umbrella: Based on the short story by the undisputed master of the macabre, H. P. Lovecraft. A boating accident off the coast of Spain sends Paul and his girlfriend to the dilapidated fishing village of Imboca looking for help. As ight falls people start to disappear and things not quite human start appearring. Paul finds himself pursued by the entire town and discovers Imboca’s dark secret whilst running for his life… the freakish half-human creatures that populate the town. They pray to Dagon, a monsterous God of the sea. All outsiders are sacrificed, the men are skinned alive and the women offered as unwilling brides to bear Dagon’s unholy children. 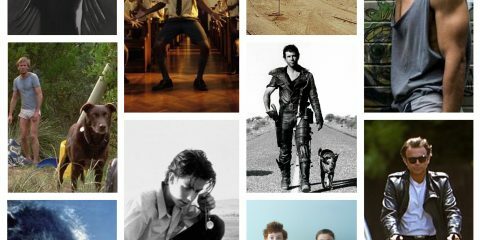 From The Curb: Damn, it’s great to see this new ‘Beyond Genres’ label slapping out some truly great films. 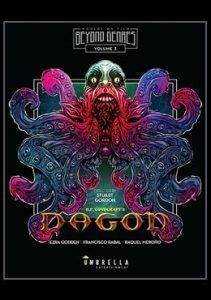 After the one two punch of Re-Animator and Bride of Re-Animator, another Stuart Gordon flick comes to the fold – this one is the underseen and undervalued Dagon. Terrifying, terrific, and terribly necessary to have in your collection. From Umbrella: Adventurer Todd Sampson is on a mission to investigate some of the most extraordinary people on the planet to see what we can all learn from their lives. To truly understand them, he will not only walk in their shoes, he will hack into their world using science as his guide. This is the story of human potential and how our mind and body can adapt to almost anything. In this second series, Todd will face extreme challenges with the Matsés of the Amazon, Iraqi frontline soldiers, sadhu holy men of India, the kung fu masters of China, the firefighters of Washington DC and the Kazakh Eagle Hunters of Mongolia. 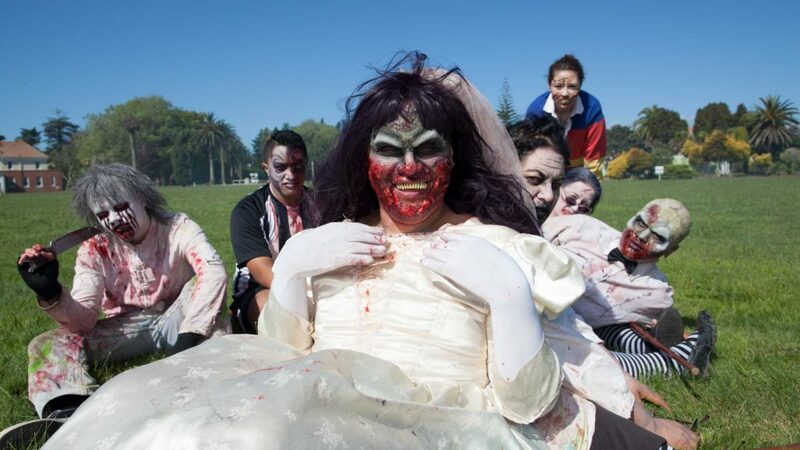 Each episode will highlight a unique aspect of human physiology and psychology, including cold adaptation, chronic stress, spatial awareness, pain tolerance and heat duress. From illuminating key moments in the story of human evolution to the use of the latest, hi-tech visual effects, this series is a visually fantastic journey that will take Todd from the frozen tundra to steaming jungles to see first-hand the ability of our species to go beyond the limit. 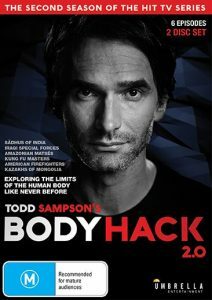 From The Curb: Todd Sampson’s delivery may be dry as the desert, but the information he’s carrying across is worth it. The first season of Body Hack was intriguing, and 2.0 is equally intriguing. If science, evolution, life and death, is something that interests you, then you’ll want to dig into this. Good background noise to fill your brain with facts. Attempting to close the generation gap, popular Aussie sitcom All Together Now ran for four successful seasons, playing out 101 madcap episodes of nostalgic rock’n’roll fuelled family comedy from 1991 – 1993. 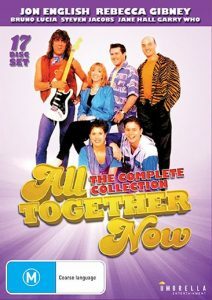 Featuring all 101 side-splitting episodes plus a compilation of hilarious out-takes and extras, the complete boxset of All Together Now is packed with fun music references, turmoil on the home front and good old fashioned family pathos as Bobby comes to terms with the overwhelming, unfamiliar responsibilities of being a rock’n’roll father. From The Curb: Look, I’m old enough to know that All Together Now was a show that ten year old me had no interest in watching. But, there was certainly a lot of adults who this was everything that they lived for. Capturing the era of the ageing free liver from the seventies in the now (or, the then, the nineties) was a nostalgia kick that baby boomers needed. No doubt this complete collection will give them all kinds of flashbacks (non-drug assisted ones at that) that they need. 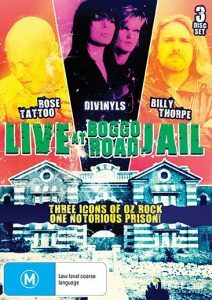 From The Curb: Once your parents have wrapped up with All Together Now, they can slap on Live at Boggo Road Jail and have another nostalgia kick as they’re taken back to the hey-day of Rose Tattoo, the Divinyls, and Billy Thorpe and the Aztecs. Great music in a notorious venue will work well to give your local commercial radio station a break for the night. From Umbrella: In the year 2022, society has created the ultimate solution for it’s most ruthless criminals – Absolom, a remote jungle island where prisoners are abandoned and left to die. 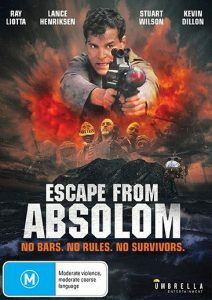 For most, Absolom means no escape, no hope and virtually no chance of survival. Marine Captain, John Robbins (Ray Liotta, Sin City: A Dame To Kill For), has been sentenced and banished to the remote prison island for assassinating his commanding officer. Run by The Warden (Michael Lerner, X-Men: Days of Future Past), Absolom is divided into two camps: The Outsiders, led by the brutal and bloodthirsty Marek (Stuart Wilson, Hot Fuzz), and The Insiders, led by the strong-willed, benevolent Father (Lance Henriksen) and his followers Hankins (Ernie Hudson) and Casey (Kevin Dillon, Entourage). Robbins doesn’t care to join either, his only aim is to escape and now the ultimate prison becomes his ultimate challenge. From The Curb: This is early Martin Campbell doing what Martin Campbell does best – action, explosions, guns and testosterone. It’s been an age since I’ve seen this film, but I do recall enjoying it enough that it’s lingered as something not terrible. If early 90’s action that resembles late 80’s action is your thing, then give this one a spin. From Umbrella: In a vast and opulent hotel, an unnamed man (Giogio Albertazzi) attempts to persuade a similarly unnamed married woman (Delphine Seyrig) that they have no only met before, but they were also romantically involved and had planned to escape together. The woman recalls no such encounter and so begins a sensual and philosophical examination into the uncertainty of truth. 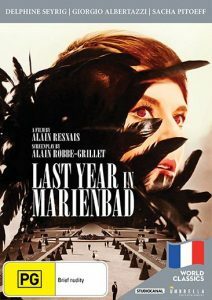 From The Curb: Sitting near the top of my shame pile is this eternal classic from Alain Resnais. Apparently this is eerie, evocative and emotional. 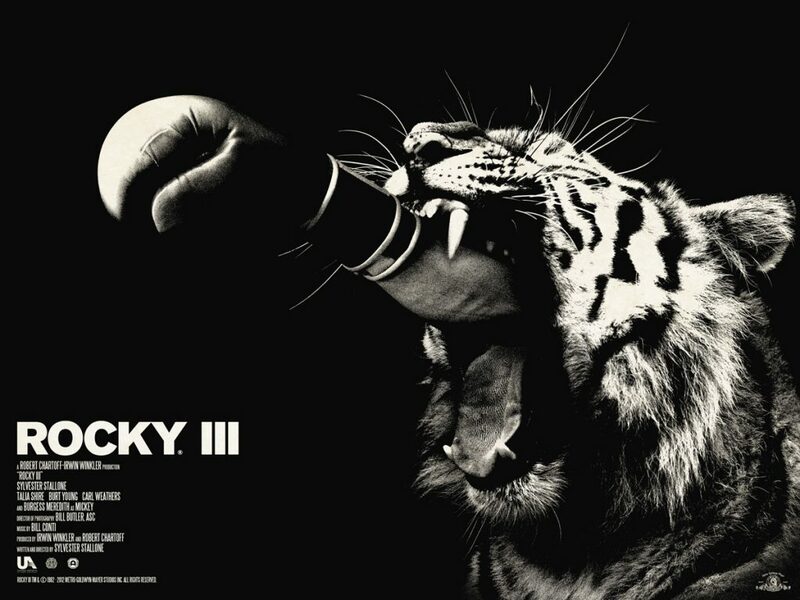 This release will at least cement that I’ll be catching it sooner rather than later. That’s the releases from Umbrella Entertainment for July. 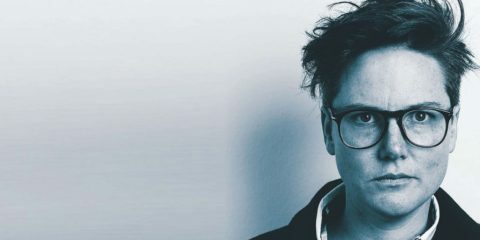 It’s proving to be a truly solid year for the Aussie label, and one that will no doubt get stronger as the year goes on.